this blog has been an accessible & lucrative platform for merchants eager to promote their products through the magic of embedded marketing. At the same time, operatives are under a standing challenge to spot the subliminal product placement when one appears on this website. 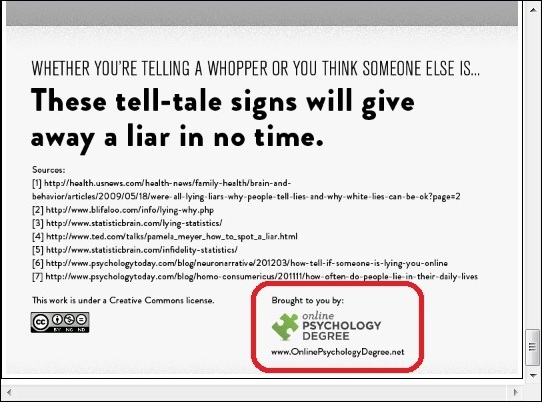 This ad in particular was placed to drive traffic to OnlinePsychologyDegree.net which, about as far as your LakeCountyEye can tell, wants you to enroll in a psychology program at an online university like University of Phoenix or Kaplan University. convey selected information and indicators to audiences to influence their emotions, motives, objective reasoning, and ultimately the behavior of governments, organizations, groups, and individuals. Totally different than Scientology. Totally. If this sounds like the job description of an operative, then that goes a long way toward explaining why LakeCountyEye ops disproportionately have advanced degrees in online psychology programs. Your LakeCountyEye is betraying no secrets to admit that there is a good living to be made for a blogger just by secretly marketing other people's products on some crappy website. In fact your LakeCountyEye just cut a huge deal with a Chicago-based Fortune-500 Company -- huge enough that your LakeCountyEye is thinking about early retirement. If you have a product that needs some exposure, contact your LakeCountyEye immediately and ask for a rate-card. You will not regret it. And just to demonstrate the power of subliminal marketing -- you no-doubt have not noticed but there is a nationally recognizable Fortune-500 Company product surreptitiously embedded in this very post. Operatives are challenged to spot the hidden ad -- a tasty, freshly baked confection is on reserve for some lucky winner!